How Do I Decrypt Files Encrypted by Ransomware? - Ask Leo! Unfortunately, it's nearly impossible to decrypt files encrypted by ransomware. I'll look at coping strategies. And the news is not good, because no, I don’t have a solution; there’s just no good way to decrypt files encrypted by ransomware. This is a type of malware – a virus – most often referred to as “ransomware“. Hackers encrypt your files and then hold them hostage for ransom. Unfortunately, the technology they use is good – it’s the same kind of encryption technology you and I have available to us, and the same kind of technology used to keep your data secure and your internet conversations private, should you be so inclined. It’s called “public key encryption“, and it really is one of the cornerstones of internet security. A file encrypted using public key cryptography is essentially uncrackable, unless you have the matching private key. And needless to say, the hackers do it right. It’s essentially impossible to decrypt files encrypted by ransomware without their private key. Hands down, prevention is the best possible cure. In other words, don’t let your files get encrypted to begin with – and have a safety net if they do. Practice internet safety. Avoid malware, phishing schemes, and all the other ways that hackers get ransomware on to your machine. Make sure you have appropriate security software installed, running, and up to date. The first two steps are all about prevention – keeping it from trying to infect your machine at all, or stopping it if it does. The third, however, is the only 100% reliable recovery method. By far, the simplest, fastest, most reliable solution to recovering files encrypted by ransomware is to restore them from a backup taken before the ransomware took hold. You restore the backup image of your entire machine to its state prior to the infection, and it’s as if the ransomware never happened. Hopefully, once restored, you’ll know not to do whatever it was that caused the infection in the first place. Take an image backup of the infected machine. This is to preserve a copy of the machine in its current state, in case it becomes necessary and possible to recover something from it in the future. Wipe the machine and install Windows from scratch. If you have no backup of your data, things are significantly more dire. For a time, and for some older versions of ransomware, the decryption keys found by authorities were made available for recovery. Unfortunately, that service appears to have been discontinued, due to the proliferation of increasing numbers of variants on the ransomware technique. Which leaves the ultimate question: should you pay? First, let’s be clear: these are criminals you’re thinking of dealing with. There’s no guarantee that they’ll follow through, should you elect to make payment. It could be the equivalent of simply throwing your money away. Or … it could recover your files. Only you can decide whether or not to pay criminals the ransom. My position is: don’t do it. Doing so only encourages their criminal enterprise, and puts even more people at risk of finding their files encrypted by ransomware. Instead, learn from the experience. Most importantly, start backing up so that this never has to happen to you again. Will Ransomware Encrypt Backups? - A full-image backup is still the best defense against ransomware. But what if your backup gets encrypted? I'll look at the likelihood of that happening and make some recommendations. 1: Of course, you may believe that the NSA or other government agencies might feel otherwise. I don’t, but it doesn’t matter: they’re not going to help you here anyway. « Previous post: Is “Windows 10 Privacy” an Oxymoron? Restore from a Backup is about the only solution. The hackers have noted your IP and such, so even if you do get rid of them this time, they will be back. The last time I got into hacker cycle I set up a UNIX box with strong security. Minimum software on it, and use your Windows machine as a client to the UNIX machine. Simply wrong. They may have noted your IP but most people reading these forums have an internet service that doesn’t issue static IP addresses. The hacker will not be back because your address changes every time you are online. Stop trying to scare everyone. Furthermore, I’m an IT professional for 10 years and I have no clue how to do what your suggesting as a solution so how do you think this is helpful to the masses? @Gabe–I think what Van means is that “some” servers are static, and they do not change the address….by Unix box, I think he means obtaining a Unix based system–such as Linux or BSD, and using Windows as a virtual machine on that system. The issue, however, while there has been a significant growth in Linux based systems (which were traditionally devoid of malware and similar), hackers are only beginning to target Linux. Linux uses open-source software, free to the masses generally. The means that there are numerous software engineers looking at the codes so often that one of them ought to discover any changes and react quickly. Also, too, one of the biggest hackers is in our own backyard, and it is not only the NSA and sundry three-initialed agencies. It is Microsoft using Windows 10. I have avoided Windows now since 2014 due to their theft of data…one must use as many privacy vehicles as possible, including VM above, VPN, and other DNS changes, plus constant amendments to encryption keys and passwords. pounding it into my head. Of all the people I know that have a computer, NONE of them have any type of back ups(except me). If their Hard drive has never failed, it doesn’t exist to them. I no longer tell them to back up, anymore. It’s very difficult to get people to back up. But one thing you may suggest is that they keep a copy of their most important files on one of the cloud services – like, Dropbox, Google drive, and the like. That will make them start thinking about how many really important files they have! I have an external back drive that does it automaticaly. But I am thinking what make your external drive not be infected. Before I retired I was a software programmer and then software manager. Backing up for me is a religion. I find that the easiest way to backup is to use a SATA > USB cable (or caddy) and an external drive. I do it once a week and with USB 3 it does not even take that long. Current files I backup daily I do have a question however. Is it true that they will encrypt every drive that is connected to your system? If so, it is a necessity to disconnect any backup. Also is it true that once on your computer they can also access your cloud data? If I look at DropBox and OneDrive, they both source their data from the C:\Users\MyName\DropBox or OneDrive folders. So before they are in the Cloud, they do reside locally. If that gets encrypted, it will get encrypted in the Cloud service too since it gets automatically synchronized. I’m starting to think that I’m going to burn DVDs (or Bluray discs) of my most important stuff (photos, videos, documents) and store a copy onsite and a copy at my son’s place, which is 20 km away. There is no chance of both our houses burning down the SAME DAY, and if it’s on plastic, the data thieves can’t get at it from the ‘Net. I might start looking for a safe that is rated for CD and USB keys as well as for protecting paper from fire. A lot of safes can’t protect plastic from melting in case of a fire (the temperature at which paper will ignite is 451 F, but plastic will change shape way before that is reached). I have all my files, movies, documents, etc etc…on 16GB USB’s, and then I have those same files on a TB external drive (Along with a copy of my hard drive). If one goes, I still have a copy of everything. Yes, yes and yes. Yes they can and will encrypt files on all drives connected to the computer that gets infected. Yes they will encrypt files on your online backup if it is mapped as a share or network drive. And yes you do need to disconnect your backup drive to keep it safe. Sorry, no good news, it takes work to stay safe. And as I’ve said in several responses already, “Yes” is simply too absolute a response. The actual number of ransomware malware instances that ACTUALLY do this is small. Most simply go for known files on the system drive and either ignore backup image files (too large to work on) or external drives or both. Yes, it absolutely CAN happen, but right now the likelihood remains low, in my opinion. It’s my opinion that it’s more important to leave the external drives connected so that backups happen regularly, rather than having to rely on your memory to remember to reconnect them. If anything, I’d prefer to rely on your memory to every-so-often take one of those backup images and copy it to a different drive, disconnect that and save it elsewhere. Personally, I would format and lose it all before I would pay the bleeps. Why would one take an image of an infected machine, and then restore it? An image “before” the infection, fine, but after? Why? That’s a just in case suggestion, in case you later find there was some useful unencrypted data on your encrypted drive. Quoting Leo, “This is to preserve a copy of the machine in its current state, in case it becomes necessary and possible to recover something from it in the future.” Also note where Leo says that the ransomware possibly encrypts part of the machine. You may be able to retrieve some information from un-encrypted areas later. I would not restore it. The reason to take an image backup is to make sure you have a copy of EVERY file on that machine, just in case, some day later, you realize that in fixing or restoring the machine you deleted or lost a file that mattered. Then you could extract that file from the image. Hi Leo, Thanks for the article. One comment: I’ve heard some ransomeware will also encrypt any attached drives, mapped drives and/or online storage. So, if people are using these for backups, is it important to remove their connection to your PC when not backing up? Thanks! Once it’s ‘infected’ The backup will do no good. A lot of armatures will read that wrong and wonder whether they’re idiots…or you are. I’ll reiterate as I said in another comment – this is exactly as I intended. I want you to take a backup image of the infected machine before you begin repair/recovery attempts. Why? So that after you possibly overwrite it by reinstalling or reverting to a previous backup you stand a chance of being able to recover files from it in the future. Specifically you’ll be able to recover any files that were not encrypted by the malware. There’s also an outside chance that perhaps someday the perpetrators will be caught and the encryption keys made available – in which case even saving the encrypted files makes some amount of sense, particularly if they’re valuable. I’ll say it again: Take an image backup of the infected machine. It’s exactly what I mean. DOES YOUR REFERRAL TO AN “IMAGE BACKUP” REFER TO A BACKUP OR A CLONED HD? I HAVE USED ACRONIS TRUE IMAGE ALONG WITH A HD TRAY AND A HD DOCK FOR A LONG TIME NOW AND KEEP AT LEAST TWO CLONES MADE WITH THIS SYSTEM. BOTH ABOUT TWO WEEKS OR LESS OLD. An image backup is a copy of everything on your hard drive necessary to restore your system to the state it was in at the time of the backup. It includes all of the file, the OS, and programs and settings from the system. A clone includes all of that plus the free space and empty sectors on the drive. A clone or an image backup would be equally capable of restoring your system after a ransomware or other malware attack. The essential difference is that an image backup would take up much less space and would take less time to run the backup. Leo doesn’t talk much about cloning as there is no advantage of cloning over imaging. I have been turned on to a program called CryptoPrevent, by Foolish-IT. I’ve been using it for about a year now, but I’m not even sure it works. It changes some stuff in the registry which is supposed to prevent being infected by crypto-malware. It came highly recommended though, and it’s really easy to use. Anybody have experience with CryptoPrevent, good or bad? Does it work? CryptoPrevent is a reputable piece of software. It can protect you against one kind of Crypto Malware. It doesn’t prevent against all Crypto attacks, so you still have to exercise caution on the internet. The author of the CryptoPrevent software has an interesting comment posted in the comments section of the article. It’s not a question of the malware encrypting files on the cloud server. Encrypting any files on a cloud server is not technically possible unless the hacker hacks into their server directly. The problem occurs if the encrypted files are uploaded to the cloud server replacing the good file. Since this software has to execute to encrypt your data, how does it do that without prompting for permission? I had a clicker install a Chrome browser on my computer and I assumed it used Google updater authority to do so (I didn’t click any emails to start it and I don’t have Chrome installed). I actually saw the command boxes briefly pop up when it installed but Security Essentials did not find it until I ran a full scan several weeks later. Sometimes you shouldn’t ignore random command boxes. I was clicking information on a farm equipment site at the time so I suppose they were hacked. The actual files were located in a Local App Data folder. I have since been told that programs can execute from these folders without a prompt in some cases. Java is not installed on the computer. I understand that if you are not logged on as an administrator, these guys shouldn’t be able to execute without prompting for administrator authority. Since I normally use my computer as an administrator, I set Local Security Policy, Software Restriction Policies on the %localAppData% folders to prevent execution out of these folders. I back up important files to an external hard drive, I copy really important files to Onedrive (which is NOT set up to sync with my computer) and my email is all stored on an external Exchange Server. The real question is, how can ransom ware or clicker software install and run on your computer without asking for some authority? The clicker app was one that installs an invisible Chrome and clicks web sites. I am not sure that it ever executed since the network never loaded up but Chrome was installed. Security Essentials missed it and would only flag it on a Full Scan. The thing to remember is that hackers and thieves are smart, and they are quite motivated to come up with systems that work for their scams. Yes, being vigilant is a great idea! User Account Control is designed to block execution of program installation and programs which get access to low level system areas on your machine unless you give that application permission to execute. Unfortunately, like all other security methods, it’s just one more fallible layer of security. The best protection is to have as many layers of protection as is practical. The most important layer is the one between the computer and the chair. Install and use common sense. Step 5. Educate yourself is probably the most important step. Thanks for the info. However much more detail is needed. We need a complete list of ALL programs, no matter how few there may be that can possibly decrypt an encrypted file. And and maybe even more important a way is needed to identify which program did the encrypting. In my case my client just got infected two days ago, 3-14-2016. In this case the files seem to have been left with their original names and extensions. In the folders with encrypted files there is an html file named “File_encrypted-read_me.html” this file explains how to pay the ransom. There does not seem to be any .txt files with same message nor any list I can find of the affected files like some ransomware strains use. Some of these symptoms seem similar to what I seen reference with the new Locky strain, but not all of them. Any help identifying the flavor of ransomware would be much appreciated. There is no list of programs. The hackers could easily have written their own, for example. Lazy ones will use PGP/GPG variants. I have the same problem, as Ralf, I got infected on 4-5-2016, and the files have remained in their original names and extensions. I received, a png, txt and an html file explaining how to pay the ransom, and if I don’t pay it by 11th april 2016, the price will be double… this is so strange!. I would be grateful if any help is provided identifying the problem and getting it solved!!!!. Please read the article you just commented on: there is nothing you can do short of paying the ransom (which I strongly recommend you NOT do), restoring your machine from a backup taken prior to the infection (which I hope you have), or reseting your machine completely. The lesson here: back up back up back up! More friends and me, we have been infected computers with Cerber Ransomware and blocked any file. I tried with System Restore, but it just was affected by malware and can not restore files ! Now is not a decrypter for Cerber to Kaspersky,but maybe in the future will make one to decrypt-unlock all files ! It cannot decrypt ALL ransomware files. Only those variants for which the keys have been discovered. So it may, or may not, work. as IT specialists to decrypt !!! so we can say that IT specialists they are less intelligent that hackers ?!! The encryption methods used are very likely off the shelf encryption algotithms adapted for criminal purposes. Those algorithms produce encrypted files similar to what the military uses. It’s not that the hackers are smarter than the experts. That’s just the nature of encryption. for a restore files affected millions of computers worldwide. I mentioned the nature of encryption, because it is key to the issue of ransomware. If it were possible to crack ransomware encryption in a year, that would mean any and all encryption would be easily crackable. Because that is the nature of encryption, as Mark stated. Good encryption simply works that way. just to create a virus encryption for different extensions ?! but this Cerber Ransom infect computers in present ! around the world…and the autorities,what i do ?! I don’t understand exactly what it is you’re saying, but just saying “it can’t be” doesn’t mean it can be. 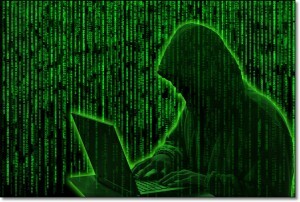 It IS the nature of encryption that done properly hackers can do it and in such a way that it cannot be reasonably cracked by current technology. Getting frustrated about it won’t change the way things work. such technology !!! How is that possible?! to repair soon these harmful effects. Lulian, you are not understanding encryption. The difference is not between how intelligent IT specialists are and how intelligent hackers are. The difference is between encrypting and un-encrypting. It’s very easy to encrypt a file (a stupid hacker, or a stupid IT specialist could do it very easily). On the other hand, if a file has been properly encrypted then it can’t be un-encrypted using today’s technology without the password… no matter how brilliant the hacker or IT specialist may be. There are things such as brute force attacks and blind luck which may help a hacker find a password, but short of that, good encryption locks up a file. The technology exists – we all have easy access to it. What we DO NOT have, and that they do, is the decryption KEY. It’s like having a lock on your door for which you do not have the key. The lock is the technology that you cannot break. Unless you have the key. When you pay the ransom, the hackers give you the key. I think I’m beginning to understand what you’re getting at. Standard encryption if done with a long enough key is uncrackable by all but the most sophisticated NSA quality crackers. You can even download and install software that effective. The creators of ransomware can decrypt the files they encrypt in the same way that you would be able to decrypt and encrypted files you created because they have the keys they used to encrypt the files in the first place. They wouldn’t be able to decrypt any files created by other hackers because they wouldn’t have the keys. is not safe !!! can be craked, after some time. the key those in need…!!! After being attacked I found out that “zip” files were not affected. So maybe importent files could be saved in a “zip” file, to be opened again after an attack. Unfortunately, this isn’t always true. Ransomware encrypts whatever its programmer tells it to encrypt, so that’s no guarantee they won’t encrypt zip files. I use 2 methods to allow recovery from ransomware which I’ve been using long before ransomware was a gleam in the eye of hackers. Dropbox and some other cloud storage programs keep copies of all changed files for 30 days, longer if you pay extra. In addition, I copy my backup files to other removable disks which I only attach at backup time. A note to this: Yes, it’s possible for ransomware to encrypt the files in your dropbox. However, Dropbox itself keeps a backup of all your files that you can access fairly easily. That’s what I meant by “Dropbox and some other cloud storage programs keep copies of all changed files for 30 days,” Go back enough generations (in most cases probably only one) to recover the good versions of the files. It all depends on the specific ransomware. Some could affect .zip files. Sorry, we can’t. Read the article. so not reach directly to subscribers,viruses, malware etc. As people may well find this article when looking for a solution, it really should be updated to provide them with accurate information. Actually, hackers very often do it wrong and include flaws in their code enable security researchers, usually at antivirus companies, to work out how to break the encryption. Consequently, the researchers are able to create decryption tools, which are always made freely available, that enable people to recover their data without needing to pay the ransom. There’s a whole slew of these tools hosted at No More Ransom Project which a collaboration between Europol’s European Cybercrime Centre; antivirus vendors such as Emsisoft, Kaspersky and Bitdefender; as well as various other groups and organizations. It may also be good to include some actually useful advice – which this article doesn’t currently contain – as to what to somebody should do if they’re impacted. For example, firstly, they shouldn’t let an antivirus product delete the ransomware executable as, without this, security researchers may not be able to work out what encrypted the files and, consequently, also be unable to work out how to decrypt them. Secondly, they should seek advice not from you or this website, but from an antivirus vendor – you know, the actual experts in this stuff – who’ll be able to advise them on the best way forward. Many antivirus companies are willing to provide no-cost help to both customers and non-customers alike.